1. 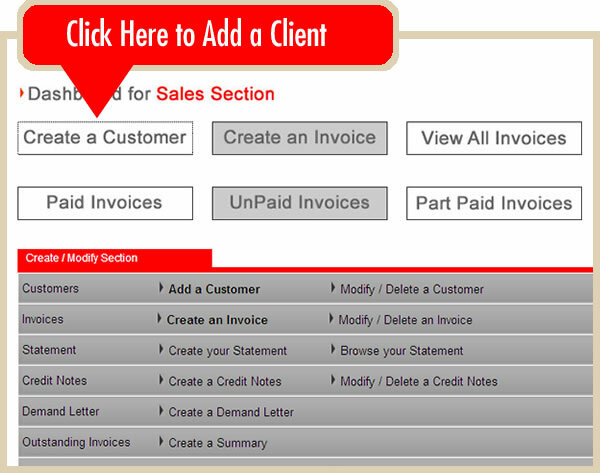 Once logged in, select the Sales Section and simply click on the 'Create a Customer' button (See diagram below). 2. 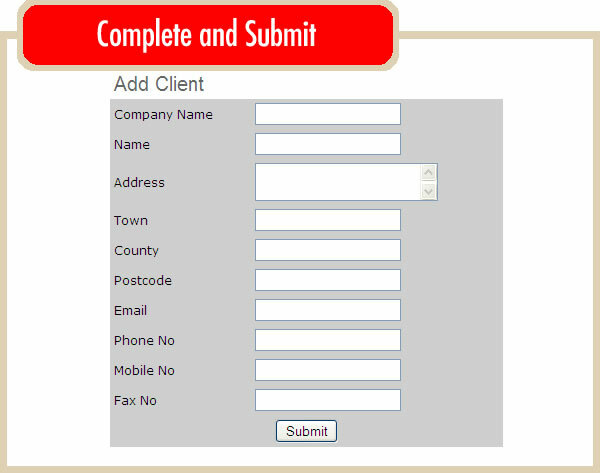 Add the details of your client and click on the 'SUBMIT' button (See diagram below)... THAT'S IT, CLIENT IN DATABASE.